Alan Alda provided me with one of the great comic insights when I saw him in an interview one late night in a hotel room somewhere I can't even recall. I find it's affected every form of performed comedy I've seen since. He said that there are two kinds of funny people: People who say funny things and people who say things funny. The best ones do both. He is one of the best ones. 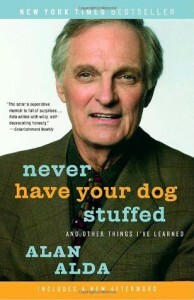 It's hard to overestimate just how brilliant Alan Alda is. I know that comedy writing/acting/directing isn't astrophysics but mastery is still mastery, and his real talent, the ability to say something important while still being funny is a rare find. 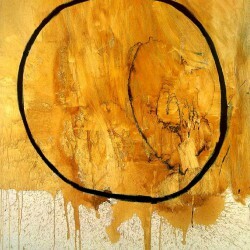 There's something about his work that makes you feel more connected to humanity just because you experienced it. A lot of people still view the finale of MASH like they view JFKs assassination or the moon landing: they know exactly where they were and who they were with when it happened. His work matters because it's entertaining but more than that, it speaks to us as regular everyday people. This book is no exception. Even the title is an example of it. It sounds so silly and in one way, it is, but it's also a lesson he learned early on in life that he reflects on as he goes on about the business of living. It finds its way into just about every part of his life. A lot of the things he learns are like that. Aren't they like that for all of us? There was really no part of this book that I didn't love. It was charming and funny and silly and meaningful and honest. I think maybe even people who don't get Alan Alda (do such people even exist?) may change their mind if they give this one the full go. Sure, he tells plenty of stories. Stories about his childhood and having a famous father. Stories about falling in love with his wife. Stories about trying to build a career. Yes, there are stories about MASH. There's even a series of near-death experiences in here. But that's not the part that I appreciated most. What resonated with me was how much he has taken the time and focus to learn from everything he's been through. He learned from trying to master horse racing and from dealing with a schizophrenic mother. He learned from losing his childhood pet. And everything somehow comes together to give you a real glimpse at who he really is and how he ended up that way. Really, what else can you hope for from a memoir?